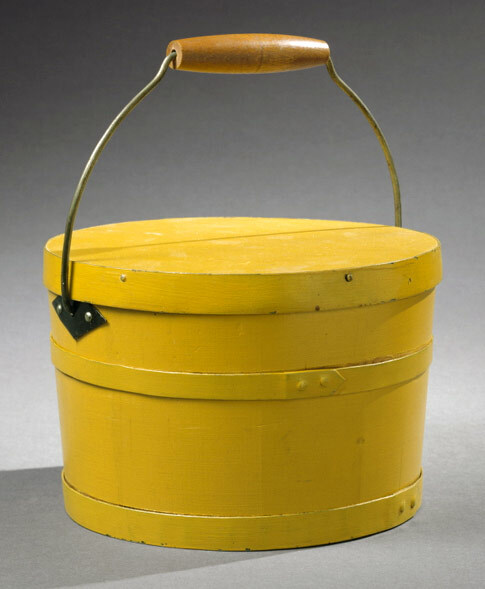 The remarkable pristine condition of this pail makes it one of the finest examples known. June Sprigg has suggested that pails of this type may have been the work of Levi Stevens (1781-1867), who came to the Canterbury community with his family in 1794 at the age of thirteen. Elder Henry C. Blinn's "Church record (1784-1879)" in the collection of Canterbury Shaker Village, p. 213, states that Levi "worked at the turning Mill and made pails."